I often preach about setting goals and building a web of accountability. Now that I’m a few weeks into my training schedule for the Angie Challenge I set down, I’ve had some time to reflect on my motivation. I followed our advice and served myself the summons that I always talk about. In short, serving a summons involves committing to something tough, then engaging different people in your goal at different levels. But is the summons enough? It was about this time of year two years ago that I entered my six pack challenge. Basically, I wrote a blog post saying that I would have a six pack in 12 weeks times or I would refund everyone who joined RMR during the same period. That gave me what I needed to get the six pack. In fact it was that challenge that made me examine my swim from Mozambique to Madagascar in more detail, which led to me developing the Summons I mentioned above. This time, I’m trying something from a book I dusted off this week while searching for will power, The Willpower Instinct by Kelly McGonical. McGonical talks about willpower as fight between two muscles. Well, more like a fight between two parts of the brain, or two ‘selves’. We each have a prefrontal cortex, which manages our motivation and executive function, and an amygdala which manages our emotions. When we fail to stick to a goal, or have a lapse in willpower, it is because our amygdala got the better of our prefrontal cortex. You are not a bad person because you can’t stick to your goals. Your amygdala is just dominating your prefrontal cortex. McGonical doesn’t just explain how it works. She has research to show that you can actually strengthen the prefrontal cortex to a point that it beats the amygdala every time (well…). The hard way to train your brain would be to plant traps everywhere in life and try and resist the temptation. Cupcakes in the cupboard, sweets in the car, coke in the fridge and having meetings in bakeries so you get used to the smell of freshly baked bread. Sound like torture? For me, definitely. The easy way to strengthen the brain is actually to ‘meditate’. Disclaimer: When I was a kid I was told that meditation opened the door for evil spirits to influence me. What I call meditation, is better described as intentional deep relaxation. It has nothing to do with idols, God or the devil. Whether you are religious or a raging atheist, meditation according to my definition is awesome. According to McGonical (and another guy I follow called Dr Daniel Amen), a specific type of meditation, or what I like to call intentional deep relaxation, increases blood flow to the brain which helps heal or regenerate the prefrontal cortex. This strengthens your motivation and executive function so you stay in charge, not your emotions. Rather than betting my company on whether or not I achieve my goal, this time, I’m going to work on strengthening my prefrontal cortex to stay motivated. To do this, I’m going to take Dr Amen’s advice and lay off alcohol (mostly) and meditate (relax intentionally and deeply) daily. McGonical recommends as little as a five minutes a day while Dr Amen has a 30 minute session called Relaxation, Focus and Memory Training on Audible. I’ll go with Amen. I highly recommend you give this a try too. 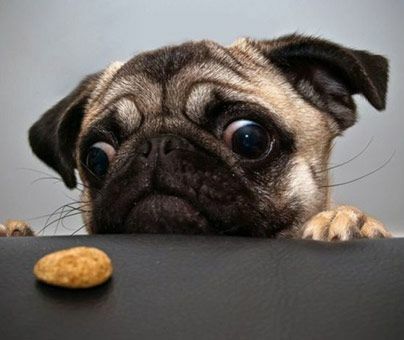 If you’re keen on reading about willpower – Here is the Willpower Instinct. And here is Dr Amen’s audio program.